Swaddling is an age-old practice of wrapping babies in a cloth to restrict the “free-falling” sensation they experience for 3 to 6 months after their birth. The medical term for this startle sensation is Moro reflex. It is a reflex reaction of infants upon being startled by a loud noise, a bright light, or any change in the environment. It is characterized by suddenly spreading out the arms and legs and then by pulling them in as if in an embrace. Swaddled babies cry less, sleep better, have more stable heart rates, and don’t wake up often due to the Moro reflex. When your baby sleeps more, you sleep more. Over swaddling or using double swaddle blankets is linked to Sudden Infant Death Syndrome (SIDS) in babies. According to an infant sleep and parenting consultant, if your baby is overheating, they most likely have damp hair and sweaty palms. Avoid overheating by swaddling correctly, using a breathable fabric like muslin, bamboo, or cotton, helps keep your baby at the optimal temperature. It’s important that your swaddle is snug and secure — a loose swaddle could come undone and cover your baby’s face and block their airway. Swaddle blankets in the market come with a secure velcro closure to make sure it doesn’t come undone while your baby is snoozing. Position your baby’s hands over their heart while they sleep or down against their torso. Swaddling restricts violent arm movements and keeps your baby’s elbow joints healthy. In the expert opinion of a hands-on mom, babies shouldn’t be swaddled all day long. It is important that babies get ample time to move freely and develop their motor skills. Swaddle during all sleep times, so it becomes a signal for sleep. Make sure your baby is not swaddled too tightly. The improper swaddling technique can contribute to permanent hip damage. While you want your baby’s arms restrained and tight to their body, their hips should have a full range of motion. Choose a hip healthy swaddle that makes the movement of legs and knees easy. Place your baby in the crib on their back. Your baby is likely to overheat or breathe in their own exhaled air if they sleep on their stomach. Swaddling can help baby stay on their back through the night. Once your baby shows signs of rolling over, you should stop swaddling with both arms in. As their learning how to roll, you can start swaddling with one arm out, then both arms out, before transitioning out of the swaddle. This usually happens when the baby is 3-5 months old. If your baby does not show signs of rolling yet, there is no reason to stop swaddling. 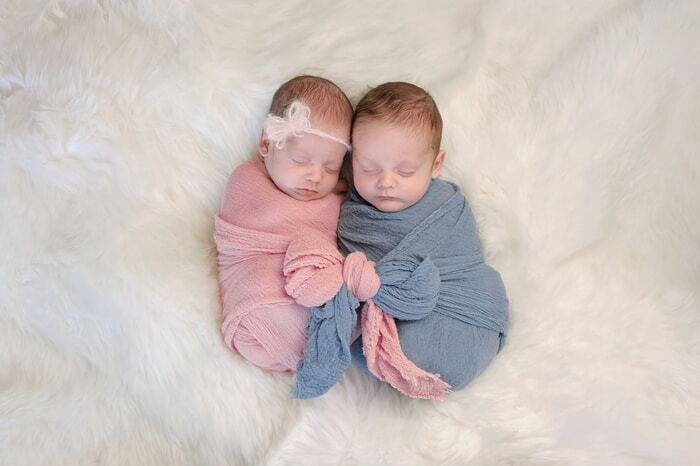 With so many benefits of swaddling, it is easy to see why it is the natural choice of moms.